New Delhi : Mirza Galib, a famous Urdu poet is known for his writing pieces that are still fresh and touches million of souls. On the 221st birth anniversary of Ghalib, we'd like to share some famous writing pieces by the poet as a mark of respect to him. Before this, we would share a brief about Mirza Ghalib who was born on December 27, 1797. His original Takhallus (pen-name) was Asad, drawn from his given name, Asadullah Khan. At some point early in his poetic career he also decided to adopt the pen-name of Ghalib (meaning all conquering, superior, most excellent). 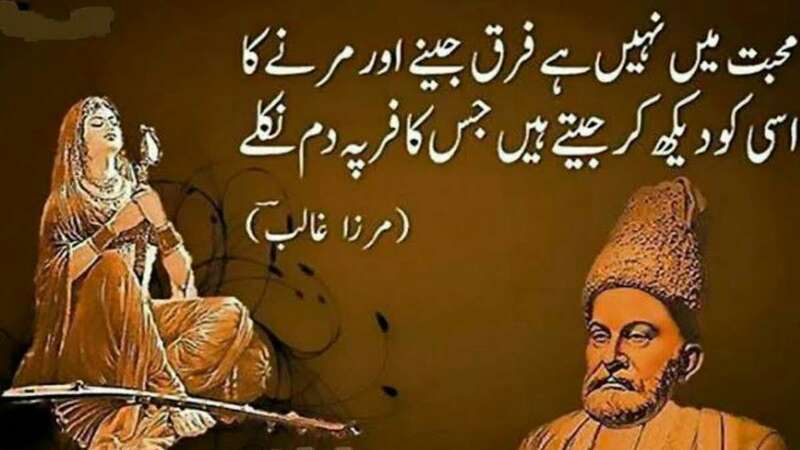 At some places in his poetry Ghalib also used the pen name of Asad Ullah Khan. The poet died in Delhi on February 15, 1869. Here are some famous shayaris by Mirza Ghalib which still enlighten humans and calm their soul. Aur aina saaf karta raha"
Kisi ko maaf kar diya"
Naa hota mai toh kya hota"
Lekin phir bhi kum nikle"
Joh ghar se nikle hi nahi"
Bimaar ka haal acha hai"